For over a century, Savoir Beds has set the benchmark for the world’s most luxurious, hand-crafted beds, providing clients with the ultimate in deep, restorative sleep. “To inspire our customers and show them what could be done” Alistair Hughes, managing director of Savoir Beds, invited Mary Fox-Linton to participate on first in a series of the ‘In Bed with Savoir’ project. Savoir Beds are delighted to have collaborated with Mary Fox-Linton who, with over 30 years’ experience, has remained at the forefront of design and innovation and has won the admiration of many professionals in her field. The Mary Fox-Linton bed features bespoke linen textiles from Claremont in shades of burnt amber and cream, encased in a vast rectangular Holly Hunt leather frame with stud nailing to finish. The next phase of the ‘In Bed with Savoir project will be followed’ with designs by Nicky Haslam and Jane Churchill. Savoir Beds bespoke production means that all beds can be tailored to suit individual clients. 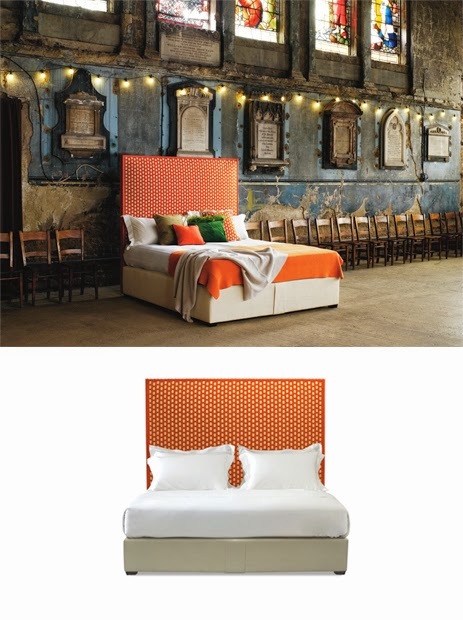 For more information or to see the Mary Fox-Linton Bed please contact our Savoir Kings Road showroom on 020 7731 1293.